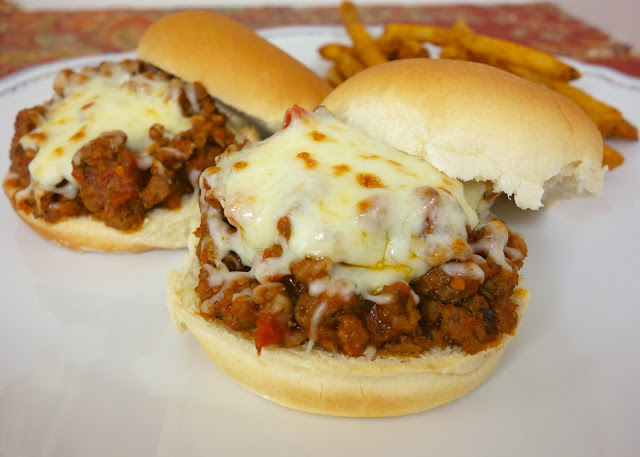 Italian Sloppy Joes recipe - combination of hamburger and sausage simmered in spaghetti sauce - top with mozzarella cheese. 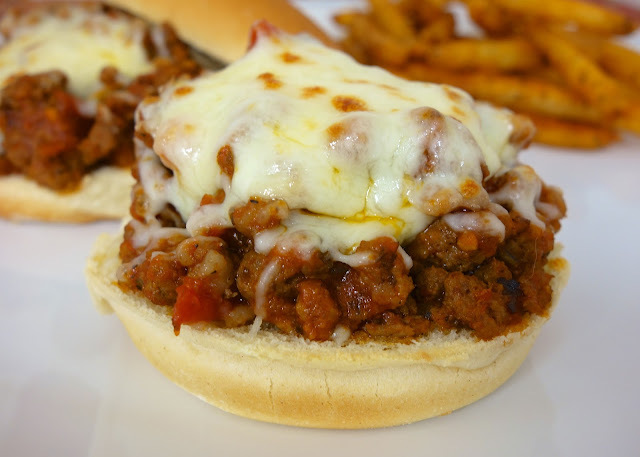 My favorite sloppy joe recipes! Ready in 15 minutes! In a large skillet cook the hamburger and sausage until no longer pink. Drain fat and return meat to the skillet. Stir in the garlic powder and spaghetti sauce. Simmer for 5-10 minutes. Spoon meat on to buns. Top with cheese and place under broiler until cheese is melted. Oh I love this twist on Sloppy Joes! 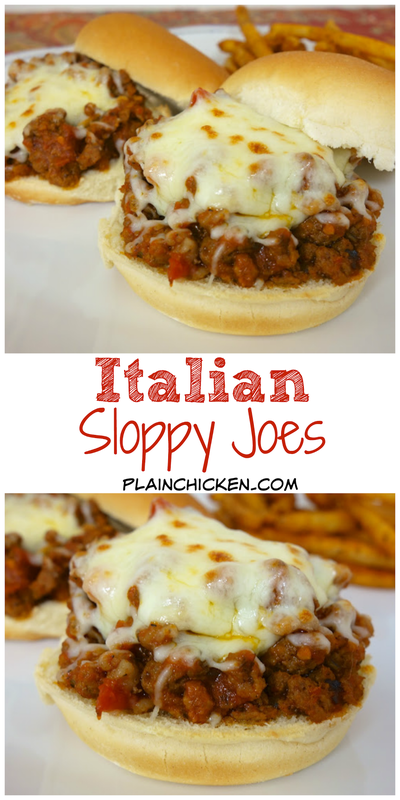 We love sloppy joes and I have never thought of changing the flavor! I am making those next week! Thanks. Sounds nice, just one question though... What a Broiler? Cyberhippy - the broiler is the oven - turn it on to "broil" and met the cheese. Enjoy!